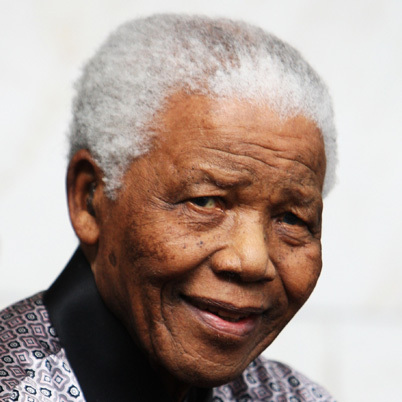 Here is a playlist of pieces about Nelson Mandela, South Africa's first black president. These are picks chosen by PRX editorial staff. You can see all potential Nelson Mandela pieces by using our search. In this special program, you'll hear Nelson Mandela as you've never heard him before. This program draws on 50 hours of recorded conversations with Mandela, held for many years in Johannesburg by archivists at the Nelson Mandela Centre of Memory. IDEAS on CBC Radio was the first radio program anywhere in the world to be given full access to these remarkable recordings. The man chosen to record Mandela's life story was Rick Stengel, a young reporter working in South Africa for Rolling Stone magazine. From 1992 to 1996, Stengel shadowed Mandela, using his small cassette machine to record the stories which would help in the writing of Mandela's autobiography, 'Long Walk to Freedom'. The two other key voices in the documentary are the current managing editor of Time Magazine Rick Stengel and freelance radio producer Robin Benger. Nelson Mandela's life and times are recalled in conversation with radio documentarian Joe Richman who researched Mandela's story for a major 2004 documentary series. Others put Mandela's story in perpective and we hear Mandela's inaugural speech of 1994 when he became president of South Africa. On this edition of the radio series Peace Talks Radio, we recall the life and times of Nelson Mandela, who led the decades long resistance to the white government’s system of apartheid in South Africa. While in prison from 1964 to 1990, Mandela became a symbol for the apartheid resistance which withstood bloody massacres and continued oppression while Mandela and other resistance leaders were in jail. Pressure from both within and outside of South Africa resulted in political changes that resulted in Mandela’s release and the allowance of parties like the African National Congress. 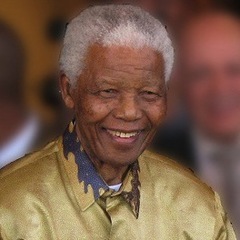 Mandela helped negotiate the end of apartheid policies and was elected president of South Africa, a post he held from 1994 to 1999. Today, we’ll hear some of our former Peace Talks Radio guests who, during our interviews with them assessed the importance and impact of Mandela’s life and example. We’ll hear from others too, including radio producer Joe Richman who researched Mandela’s life for over a year to produce the 2004 series and special Mandela: An Audio History. Joe’s allowing us to excerpt some of the more compelling moments from his award-winning series which blended archival tape, news reports, old and new interviews to tell the tale both of Mandela and the black South African’s and anti-apartheid activist’s decades long struggle for civil rights. Also, Mandela's inaugural address in 1994 when he became President of South Africa. Becoming Nelson Mandela Intro: Nelson Mandela was born 90 years ago (7/18/18). Over the course of his lifetime Mandela was a lawyer, leader of the African National Congress, freedom fighter and, finally, president. Producer Joe Richman of Radio Diaries takes a look back at Mandela's 1963 treason trial where he outlined his dream of democracy in South Africa and declared, "It's an ideal for which I am prepared to die." It was the moment when Mandela became known to the world as a symbol of resistance and democracy. Back Announce: Our story was produced by Joe Richman of Radio Diaries. Mandela: An Audio History is has just been released as a CD, hosted by Desmond Tutu with an introduction by Nelson Mandela. To find the CD, search for "Mandela: An Audio History" on Amazon or visit: www.mandelahistory.org Notes: Becoming Nelson Mandela is adapted from our 2004 series, Mandela: An Audio History. 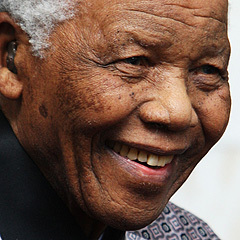 The new story ran on NPR's All Things Considered for Mandela's 90th birthday, July 18 2008. Just before Nelson Mandela's release from prison, John Hockenberry speaks with South African musician Johnny Clegg and political comedian Jimmy Tingle, along with a story from actress Lisa Fugard. HEAT -- WITH JOHN HOCKENBERRY Highlights from the groundbreaking 1990 series. License now and receive an ORIGINAL HEAT T-SHIRT, signed by John Hockenberry. Supplies are limited! More info at http://prx.org/articles/991 IN THIS HOUR: The beginning of the end of Apartheid. Just ahead of Nelson Mandela's release from 27 years in prison, political comedian Jimmy Tingle offers a working class take on racism. South African singer/songwriter Johnny Clegg speaks and plays his Zulu music along with some of his favorite tunes from South African acapella groups. Actress Lisa Fugard reads a tale of life in the diamond mines. Funny, tough, smart talk, and music you can dance to. Murray Street's Peabody Award-winning HEAT is back to entertain, engage and encourage publisteners at the end of the day. These ten episodes drawn from our deep archives feature John Hockenberry's new introductions and all the good old sensations. Each HEAT program is self contained. A collection of music from South Africa to honor Nelson Mandela. Saluting the legendary figure in the fight against apartheid in South Africa, Nelson Mandela was born on July 18th, 1918. This show is a collection of music from his beloved homeland, honoring this timeless freedom fighter. Mandela was imprisoned in a cell on Robben Island for 27 years, and was finally freed in 1990. Ambassador James Joseph talks about lessons learned from Nelson Mandela's non-violent protest of South African apartheid. Ambassador James A. Joseph examines modern American diplomacy comparing "hard power" (miltary force) to "soft power" (persuasive diplomacy), citing examples from the success of Nelson Mandela's battle against apartheid. In his long goodbye, Nelson Mandela is also teaching us something. That no matter how much we want to hold on to something or someone, sometimes we have to let them go. To let go of Nelson Mandela is perhaps the greatest gift of gratitude the world can offer Mandela at this point. Host Cliff Furnald presents a tribute to South Africa's ailing national hero Nelson Mandela. The program is simply Mandela's Africa, in music and his own words.